Now that the SMITE Super Regionals are over, there’s just one event left before the World Championships in January. 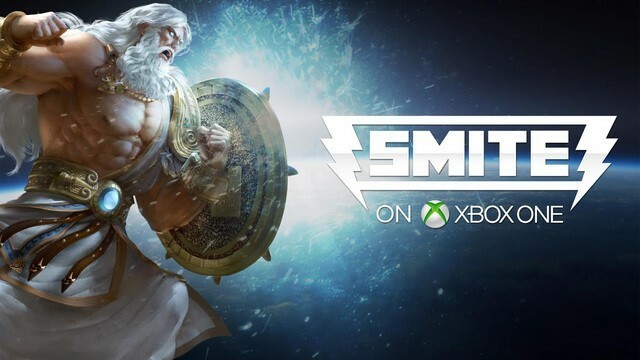 This weekend, December 5-6, MLG is hosting its NA Pro League Finals for SMITE on Xbox One. The top six North American teams from the regular MLG Pro season will be facing off for their share of a $50,000 prize purse and a spot in the Xbox One Invitational at the SMITE World Championships next month. This event marks the end of the first competitive season we’ve ever seen for a MOBA on console. The MLG NA Pro League Finals will be broadcast from the MLG.TV Arena in Columbus, Ohio. To keep up with all the action, you can tune into the live stream over at MLG’s dedicated channel. Or you can follow @MLG on Twitter for other updates. The winner of this tournament will take one of four available spots at the SMITE World Championships Xbox One Invitational. Two of those spots have already been claimed. Aware won their seat in the ESL UK Grand Finals last week. Even though Eager is competing in this tournament, they’ve already won their spot via the UMG Invitational earlier this month. If Eager happens to win this event as well, the open seat will go to the loser of the final match. The last spot in the Xbox One Invitational will go to the winner of the SWC Open Bracket in the days leading up to the World Championship event. Stay tuned to Gamer Launch for further updates and highlights as we move into this final tournament and start looking forward to Worlds. Previous Previous post: Does the gender of guild leadership make a difference?